With the NFL Combine ending last week, the start of the free agency period getting ready to launch into frenzy mode, and the NFL Draft less than two months away, the Green Bay Packers off season is in full swing. The draft will take place April 25-27, with the Packers (at this moment) having the 12th, 30th and 44th picks in the draft… among a slew of additional picks in later rounds. Who, or what type of player, will the Packers select with their picks? It’s anyone’s guess; there’s talk that an edge rusher is a high priority, and another tight end has been talked about with one of the early picks. Help on the offensive line has been discussed, and defensive backs are always a focus for the Packers in the draft. Let’s take a look at the last 10 years of the NFL draft and 11 interesting stats that you may not know about the Packers draft choices from 2009-18. Will the past draft history of the Packers give us any indication how the team will draft this season? In the last 10 drafts, the Packers selected 89 players. Forty-four were defensive players, 43 played on the offensive side of the ball, two were special team players. Receivers topped the list of the position most drafted over the past decade by the Pack. There were 18 receivers/tight ends chosen over the past 10 years. Defensive linemen were close behind with 17 choices followed by defensive backs/safeties (14), offensive linemen (14), linebackers (13) and offensive backs (QBs and running backs) with 11. The average round where offensive players were selected by the Packers over the past 10 years was 4.53. The average round where defensive players were taken by the Pack over the past 10 years was 3.82. Twenty of the 44 defensive players (45.5%) selected in the past 10 years were chosen in the first three rounds of the draft. Only nine of the 43 offensive players (20.9%) chosen were selected in the first three rounds of the draft. Of the 14 defensive backs/safeties chosen by the Packers in the last 10 years, nine (64.3%) were selected in the first three rounds. Eight of the 17 (47.1%) defensive linemen chosen were picked in the first three rounds of the draft. Twenty-three percent of the 13 linebackers picked were in the first three rounds… 22% of the receivers were chosen in the first three rounds… 21.4% of the offensive linemen were taken in the first three rounds of the draft… 18.2% of the offensive backfield were selected in the first three rounds of the draft. Twenty of the 29 players (69%) chosen in the first three rounds of the draft in the last 10 years were defensive players. Eight of the 10 players picked in the first round by the Packers since 2009 were defensive players. Of the 21 players chosen by the Packers in the first two rounds of the draft in the past 10 years, 15 were defensive players. In the last 10 years, the Packers have chosen three players from one position in a draft four times: 2018-three receivers; 2017-three offensive backs; 2014-three receivers; 2012-three defensive linemen. The only offensive players chosen by the Pack in the first round over the past 10 years were Derek Sherrod in 2011 and Brian Bulaga in 2010.
Who has been the Packers worst QB in the Super Bowl era? There is no argument when it comes to who are the best quarterbacks for the Green Bay Packers franchise… there are two Hall of Famers, Bart Starr and Brett Favre, and a future HOFer in Aaron Rodgers. The only discussion might be who would take the fourth spot in a Packers QB Mt. Rushmore, but even that might be a brief discussion as Lynn Dickey would be a solid choice for the fourth spot. But what about the worst QB for the Packers? Is there a clear-cut selection? 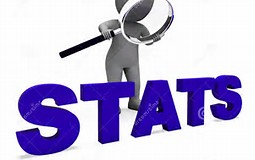 The five stats I used were pass completion percentage, TD percentage, interceptions percentage, Passer Rating and win-loss percentage as a starter. Jerry Tagge: (1972-74). Started 12 games for the Packers. The 11th overall pick in the 1972 draft. Played only three seasons in Green Bay with only three TD passes and 17 interceptions. Was released prior to the ’75 season. Did not play in the NFL after that. Scott Hunter: (1971-73). Selected in the sixth round of the 1971 draft. Started 29 games for the Pack, 10 in his rookie season. Led the team to a 10-4 record in ’72 and a NFC Central crown. Was traded to the Buffalo Bills inn 1974. John Hadl: Traded to the Packers and played two seasons (1974-75) with the Pack. His trade to the Pack for five draft choices has been called one of the worst trades of a QB in NFL history. Hadl, who earlier had a great career for the San Diego Chargers, was a flop with the Packers throwing only nine TD passes with 29 interceptions in 22 games with Green Bay. Randy Wright: Wright played collegiately at Wisconsin and was a sixth round pick of the Packers in 1984. He played five seasons in Green Bay, starting 32 games. He was only 7-25 as a starter with the team. Don Horn: Another first round pick of the Packers in 1967. Played four seasons in Green Bay, although he only played in 20 games, starting six of them. Was traded to Denver in 1971. Did win four of the six games he started for the Pack. So what do you think? Who is your choice? Here are some of the numbers that helped define the Packers 31-0 loss to the Detroit Lions on December 30. So much for the best record in the final game of the regular season… the Packers were a league-best 20-5 in the final regular season game of the season (Game #16) entering yesterday’s contest. Prior to the game, the Packers were 13-2 all-time versus the Lions in games in Green Bay in December. They had won nine straight versus the Lions in December in Green Bay dating back to 1992. Prior to yesterday’s game, Detroit Lions QB Matthew Stafford had a 6-10 record versus the Packers with a career 88.6 Passer Rating and 32 TDs and 19 interceptions. Green Bay QB Aaron Rodgers had a career record of 13-4 against the Lions with a career 109.3 Passer Rating and 37 TD passes and only six interceptions. Game time temperature was 26 degrees. The Packers are now 37-17 (.685) in home games in December when the temperature is below 30 degrees. They are only 3-3 in their last six games in this stat. The Packers will finish in third place in their division for the second consecutive year. It is the first time they finished below second place in the division in back-to-back seasons since 1999 (fourth out of five teams) and 2000 (third out of five teams). Detroit scored first in the game. The Packers scored first in nine of their 16 games in 2018. They were 4-5 in those contests. They were 2-4-1 in the games when the opposition scored first. The Packers were behind 21-0 at halftime. The last time the Packers were down by 20 or more points at halftime at Lambeau was Dec. 3, 2006 against the New York Jets (they were down by 31 at half in that game). Green Bay is now 1-11 all-time in games where they were behind by 20 or more points at halftime at Lambeau. Their only win? They were down 23-0 at Lambeau at halftime to the Rams in a game in 1982 and ended up winning that game 35-23. Kyler Fackrell ended the season with 10.5 sacks. He is the first Packers player with 10 or more sacks since Nick Perry had 11 in 2016. He is the 12th Green Bay player in team history to have 10 or more sacks in a season (since 1982). Green Bay was behind 24-0 entering the fourth quarter. It was only the 18th time in team history that the Pack was behind by 24 or more points at home entering the fourth quarter. The worst deficit entering the fourth quarter at Lambeau was 38 points; in a game in 1950, the Rams were leading the Packers 38-0 at Lambeau entering the fourth quarter. Obviously the Packers were scoreless entering the fourth quarter. They are now 2-56 all-time in games where they have not scored through three quarters. The Packers have now been shutout at home in three of their last nine games at Lambeau. The 31-point defeat is tied for the ninth worst defeat the Packers have suffered at Green Bay in their history. The worst defeat at home in team history is 46 points to the New York Giants in 1948 (the Packers lost 49-3). Mason Crosby did not attempt a field goal in the game. The Packers are 12-14 in such games in Crosby’s career. This was the only game this season where Crosby did not attempt a field goal. Green Bay had only 175 total yards in the game. They are 0-7 since 2000 in games where they are held under 200 total yards. The Packers had only 46 yards rushing in the contest. They are 10-44-1 (.191) in the Super Bowl era (since 1966) in games where they have less than 50 yards rushing in a game. Green Bay had the ball for only 23:06 in the game. Since 2000, the Pack is now 5-17 (.227) in games where they have fewer than 24 minutes time of possession in a game. The Packers are 4-18 (.182) since 2014 (the last five seasons) when the opposition scores 30 or more points in a game. Aaron Rodgers was 3-for5 for 26 yards passing before he left the game due to a concussion. It was the 14th game in his career (regular season games) where he did not throw a TD pass in a game he started. The Packers are 4-10 in those games. Rodgers ended the season with 25 TD passes and only two interceptions. He becomes only the third QB in NFL history to have 25 or more TD passes in a season with two or fewer interceptions. The others: Nick Foles in 2013 (27 TD passes and two interceptions) and Tom Brady in 2016 (28 TD passes and two interceptions). The Green Bay Packers will end their 2018 season on Sunday December 30 with a game against the Detroit Lions. This will be the 16th and final game of the season. If you were a betting man (or woman) you might place a little wager on the Packers in this game… over the past 25 seasons (from 1993-2017) the Packers have been the NFL’s best team in the 16th and final game of the season. Since ’93, the Pack is 20-5 in the 16th game of the year, tops in the league. Detroit, on the other hand, is in the bottom 10 of winning percentages in the final game of the season since 1993. They are 9-16, a .360 winning percentage. Following are the records of each NFL team in the final game of the regular season from 1993-2017. Here are some of the numbers that helped define the Packers 44-38 overtime win over the New York Jets on December 23. The Pack’s win over the Jets came in the 15th game of the season. The Packers are 18-7 (.720) in Game #15 games since 1994. That is the second-best winning percentage of all the NFL teams in Game #15 games. The New England Patriots are 19-6 (.760) in Game #15 games since ’94. Green Bay is now 5-8 (.385) in regular season games versus the Jets. They are one of four teams that the Packers have an all-time regular season winning percentage under .400; the others… Kansas City Chiefs (3-7-1 .318), Miami Dolphins (5-10 .333) and Buffalo Bills (5-8 .385). The victory on Sunday was only the second time in history that the Packers have defeated the Jets on their home field. With the win on the road, the Packers are now 7-23-1 since 1970 in road games against AFC East teams. 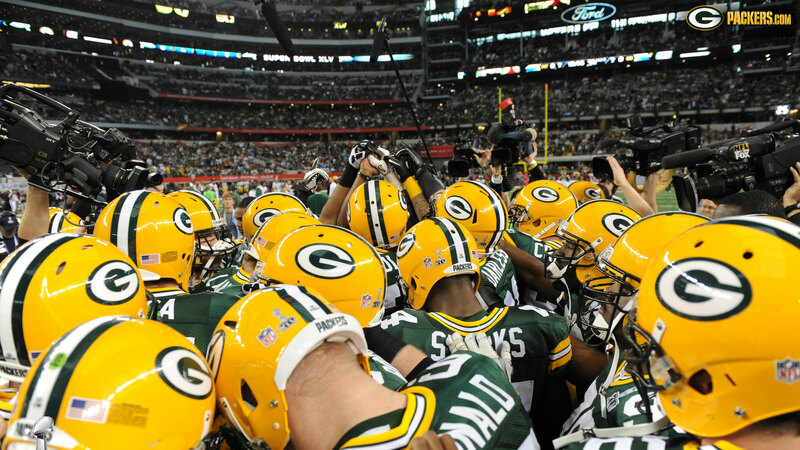 Since 2000, the Packers are now 21-18 (.538) in all road games in December. The Jets scored first in the game. The Packers are 4-4 this season when their opponents score first in the game; they are 2-4-1 when they, the Packers, scored first in a 2018 contest. New York rookie QB Sam Darnold had a 128.4 Passer Rating in the game. It was the second highest ever Passer Rating by a rookie QB against the Packers; topping the list is a 149.6 Passer Rating by rookie QB Charlie Batch of the Detroit Lions on October 15, 1998. Darnold became the seventh rookie QB in history to have three TD passes in a game against the Packers. The Packers defense has given up three TD passes to a rookie QB in three straight seasons: 2016-Dak Prescott (Dallas); 2017-DeShone Kizer (Cleveland) and Darnold this season. Green Bay QB Aaron Rodgers passed the 4,000 yards passing mark for the seventh season in his career. That places him in a tie for sixth in this stat with Detroit’s Matthew Stafford. The players ahead of Rodgers: Peyton Manning (14 4,000-yards passing seasons), Drew Brees (12), Tom Brady and Philip Rivers (10) and Matt Ryan (8). Jets returner Andre Roberts returned a kickoff for a TD. It was the first kickoff returned for TD against the Packers since Indianapolis returned a kickoff for TD on November 6, 2016. It’s interesting to note that the Packers have now won seven of their last eight games when an opposing player returns a kickoff for a TD. The Jets had a 21-17 lead at halftime. Since 2000, the Packers are now 9-27 (.250) in games when the opposition tallies 20 or more points in the first half. They are now 4-20 (.167) in road games since 2000 when their opponents score 20 or more points in the first half. Green bay running back Jamaal Williams had 15 carries for 95 yards in the game. The 95 yards rushing was the second-most in a game in his career. With six receptions for 61 yards, Williams had 156 total yards for the day… that was a career-high. Davante Adams had the game-winning TD reception. Adams turns 26 today (December 24) and has 39 career TD receptions. That is the 10th most TD receptions by a player prior to turning 26. Randy Moss tops the list with 60. Green Bay kicker Mason Crosby made all three of his field goal attempts. The Packers are 25-7 (.781) in games when Crosby is perfect in a game with at least three field goal attempts. Rodgers had a pair of TD runs in the game. It was only the second regular season game in his career that he scored two TDs (the other was October 2, 2011 against Denver). Rodgers two TD runs and a two-point conversion run tallied him 14 points in the game. That was the most points he scored in a game in his career. Paul Hornung holds the team record with 33 points scored in a game. Rodgers became the 42nd Packers player to score 14 or more points in a game since 1950. Jets QB Sam Darnold became the first rookie QB in history to have three TD passes, 300 or more yards passing and no interceptions in a game versus the Packers. Green Bay is 14-8 (.636) since 2000 in games where both teams score 30 or more points in a game. Rodgers had 442 yards passing in the game, tied for the second-most in his career. His career-high is 480 yards passing in a 2013 games versus the Redskins. Green Bay is 5-2 in the seven games where Rodgers has 400 or more yards passing. Davante Adams had 11 catches in the game, the third most in his career. Green Bay is 4-3 in games when Adams has 10 or more catches in a contest. Adams had 71 yards receiving in the game; the 71 yards receiving was the fewest he has had in a game where he had 9 or more catches. Green Bay scored 18 points in the fourth quarter. They are now 32-4 (.889) in games in their history when they score 18 or more points in the fourth quarter. The Pack had 20 running attempts in the game. They are now 20-11-1 (.641) since 2016 in games when they run the ball at least 20 times in a game. They are 5-3-1 in games this season when they have 20 or more rushing attempts, 1-5 when they have fewer than 20 rushing attempts in a game. Green Bay had 540 total yards in the game. They are now 22-2-1 (.900) in team history when they have 500 or more total yards in a game. For the first time in a game in team history, the Packers had five receivers gain 60 or more yards via catches. Equanimeous St. Brown led the way with 94 receiving yards. He was followed by Marques Valdes-Scantling (75), Davante Adams (71), Jake Kumerow (68) and Jamaal Williams (61). The game was the second-highest scoring overtime game in Green Bay history. The Pack lost an overtime game to the Falcons in Atlanta on November 27, 1983, 47-41, a combined 88 points. The 44-38 final score was the fifth time in NFL history that a game ended with that score. The last time was in 2012 when Carolina defeated New Orleans 44-38 on December 30.